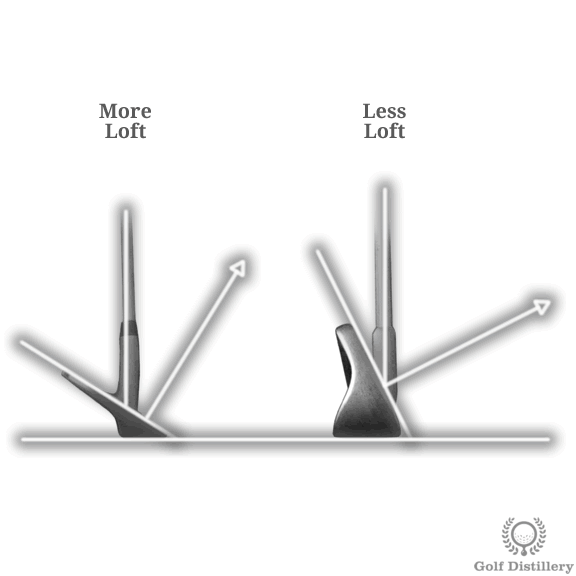 The loft of the club corresponds to the angle made by the clubface and the ground. 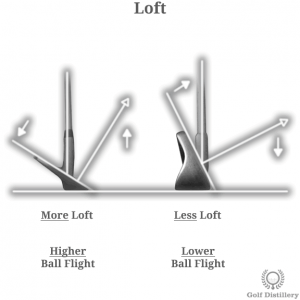 Generally speaking, lofts are at their lowest in drivers and fairway woods and gradually increase throughout the irons and finally for the wedges. Being close to completely flat at 0 degree, the putter has the lowest loft of any club while the loft of a lob wedge will hover above 60 degrees and will usually be the club with the highest loft in a golf bag. The loft has a direct impact on the height of the ball’s flight path. Indeed, a club with more loft will send a ball higher than a club with less loft, again generally speaking. As such, depending on the shot at hand, a golfer can decide on the club to pick in accordance to how high the shot needs to travel, on top of the distance it needs to travel.